The Dim Sum Diaries | Burger Box wtc | "One cannot think well, love well, sleep well, if one has not dined well." 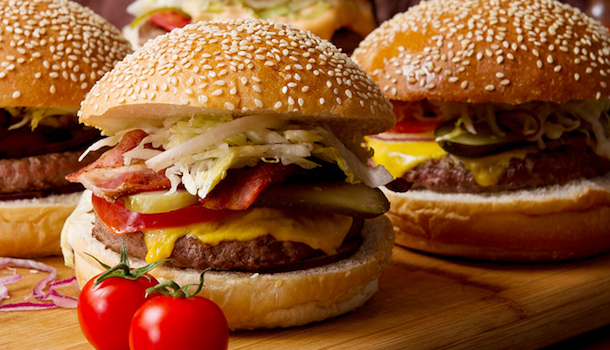 There are days when the only thing I need is a big, fat, juicy burger. Admittedly, for me, these days don’t come too often, but when I crave a burger, I really crave a burger. 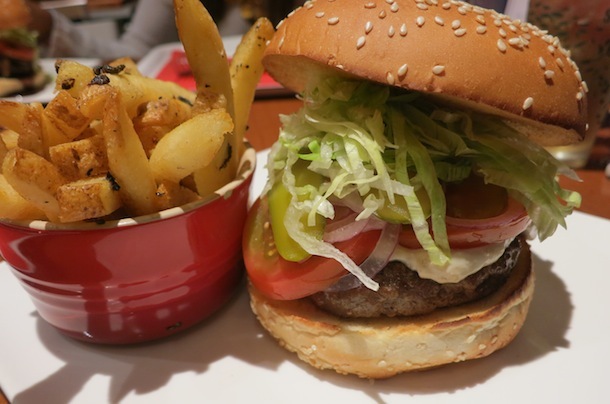 Burger Box, the ever-popular little kiosk at Central’s Pier 7, has now opened as an actual restaurant in Causeway Bay, serving up all kinds of big, fat, juicy burgers to satisfy even the strongest burger cravings. 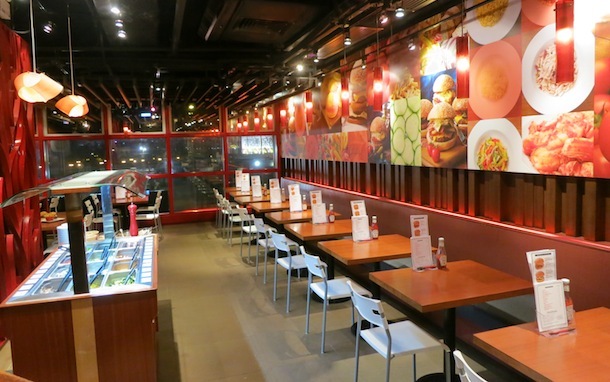 Claiming to serve ‘the best burgers in town’ (a pretty big claim if you ask me), Burger Box wtc is a big, bright space. It’s by no means a fancy restaurant, yet its bright red walls and vibrant photos are definitely inviting. Burger choices range from the classic to the slightly more quirky foie gras aioli burger, with veggie options for those confused individuals of course. Opting for three different burgers between the three of us, we started with a cheddar cheese burger. Although the patty was a little overcooked and rather on the dry side, the quality of meat was evidently high and it packed a lot of flavour. I have recently discovered my deep penchant for the foie gras burger, having enjoyed the ones at 22 Ships, Stone Nullah Tavern, and most recently at Common Room. Unfortunately I can’t say I was equally as impressed by Burger Box’s version. Here, the foie gras comes in the form of an aioli, which I found a little on the mild side and was masked by the meaty burger (which was again a little dry). The winning burger, in my humble opinion, was the teriyaki shitake mushroom burger. Although for some, the teriyaki sauce was a little too rich, I loved it and it helped to keep the beef patty nice and juicy. Although Burger Box wtc should obviously be visited for its burgers, let us never forget about the fries. 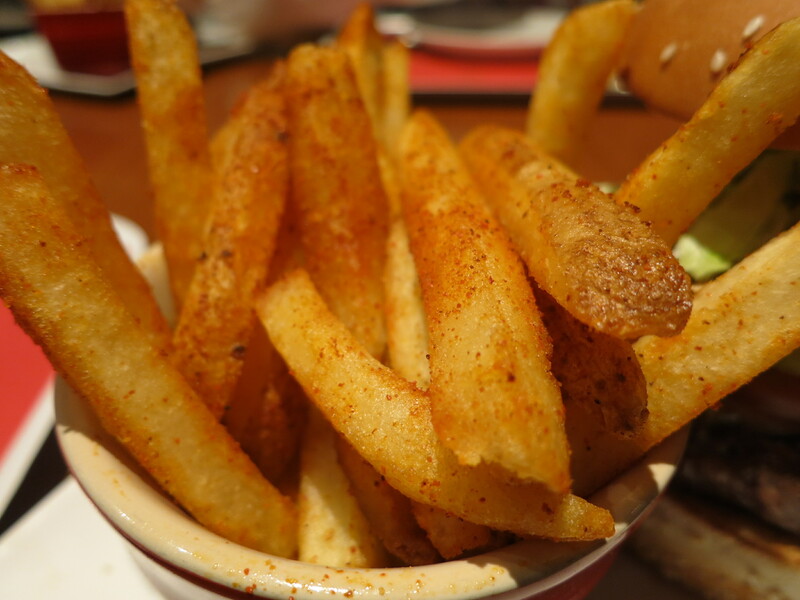 The spicy fries, generously sprinkled in chilli powder, were delicious, but nothing beats a good helping of truffle fries… perhaps not even the burgers! Service is good and prices are even better, starting at $45 for a burger, $68 for a combo with fries and a soft drink, or $98 including a trip to the salad bar. Wash all the above down with a refreshing glass (or two) of Somersby apple cider and you may just have the perfect evening. 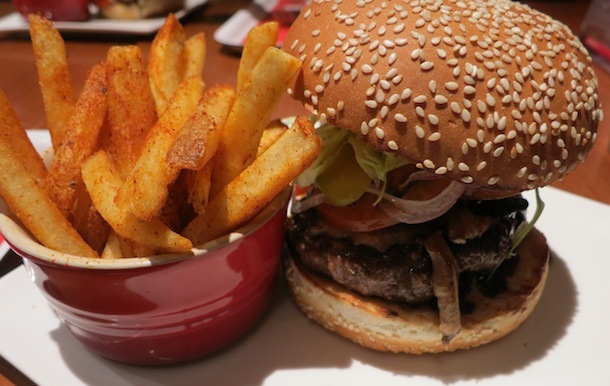 Does Burger Box wtc serve the best burgers in town? Perhaps not the very, very best, but nobody’s perfect. Thank for the follow! I love your blog- whenever I’m not in Hong Kong I come here just to attempt to “re-live” eating in Hong Kong haha! Thanks! Glad to hear it! Your blog is great too – I love the easy to navigate layout and the recipes look incredible! I have my eye on the vegan brownie one!! Will definitely have to put it to the test soon! They’re SO good, you won’t regret it. Hope you like them as much as I do! The chips look really good. I currently live in Beijing. If you ever come to Beijing, you should certainly try Let’s Burger-really similar to Burger box, probably even better. The burgers and the potato wedges are amazing.